CBD is having a moment. With the recent approval by the FDA for the use of a CBD product to treat epilepsy, the once-shunned oil is now basking in the mainstream spotlight. 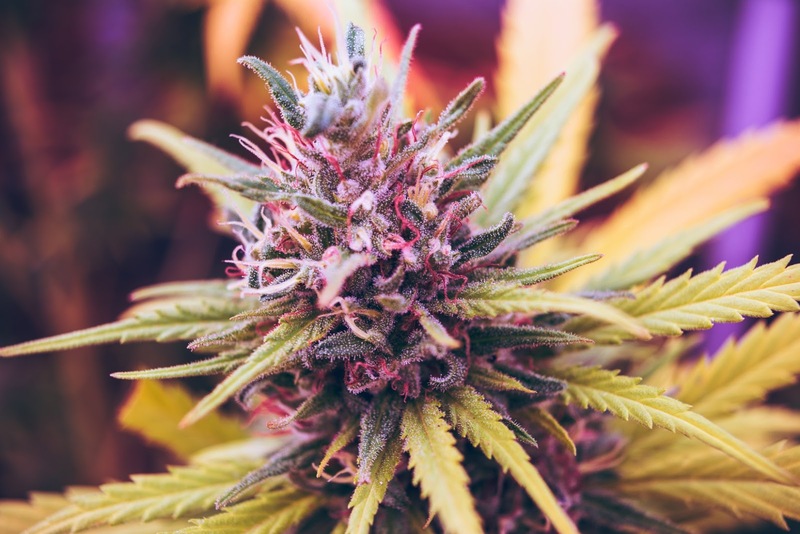 As the popularity of CBD grows, it’s made its way from the leaves of the hemp and marijuana plants to baked goods and beverages across the globe. 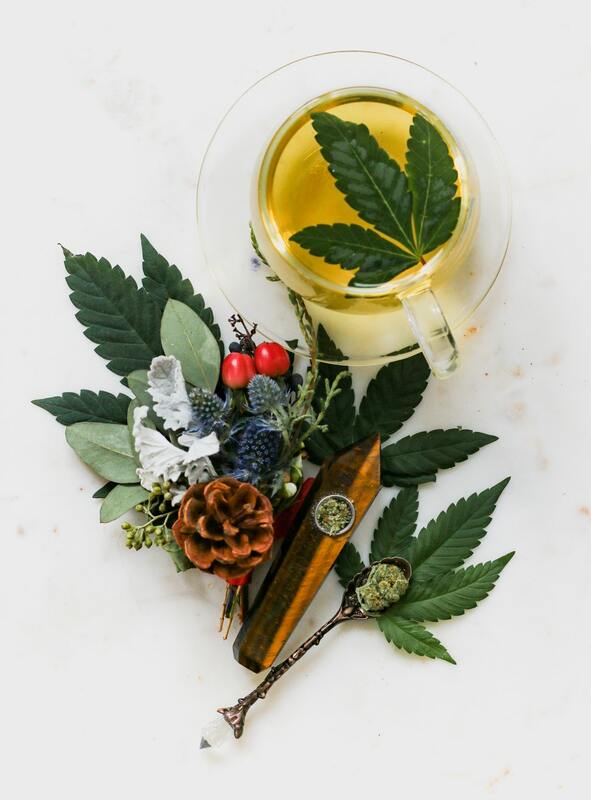 CBD tea is a delicious way to incorporate the oil into your daily routine. The best part is that you don’t have to run out and buy some specially formulated brand. You can simply add a few drops of CBD oil to your favorite teas and bask in the glorious flavor of the tea drinking experience. 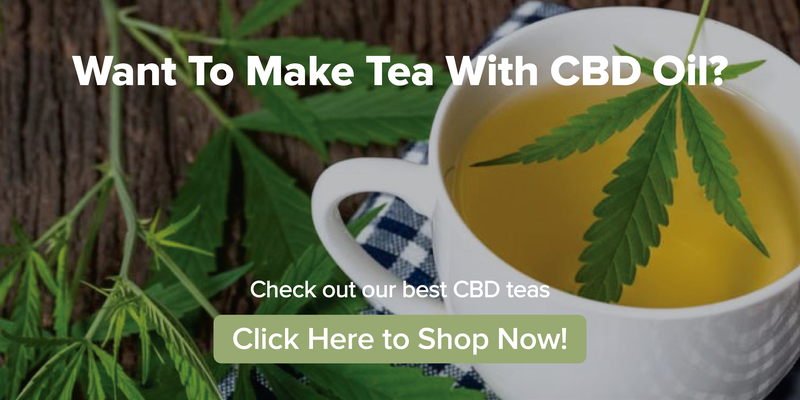 Read on to find out how you can make a cup of tea with a dash of CBD oil. Want to pick up some delicious teas to pair with your CBD oil today? Check out our collection of the best CBD teas right here. CBD tea is a blend of tea leaves and CBD oil, also known as cannabidiol. CBD is a compound found in the leaves of the cannabis plant. In its oil form, it contains no THC — the psychoactive main ingredient in marijuana. It does not make users feel high and can be consumed in a variety of ways. CBD tea is available in tea bags, but can also be brewed simply by adding a few drops of CBD oil to any tea. The natural oil is not water-soluble so fat is usually added to improve to absorption of the oil when added to foods and beverages. The legality of CBD is dependent upon its source in the United States. CBD derived from marijuana is illegal because it is classified as a schedule I controlled substance. However, CBD derived from the hemp plant is legal. CBD can be extracted from a variety of small-scale and industrial hemp products including hemp seeds. In 2018, a drug made from cannabidiol called Epidiolex was approved by the Food and Drug Administration (FDA) to treat epilepsy. The drug was approved specifically for use in treating two childhood epilepsy conditions: Dravet syndrome and Lennox-Gastaut syndrome. It’s important to note that all other purported health benefits require additional research to prove efficacy. Sublingual ingestion of CBD involves placing the oil directly under the tongue. The benefits of this method include ease of dosage and a faster uptake time. Taking CBD oil sublingually allows for a faster absorption and uptake time since the oil doesn't need to be processed by the digestive system. This method of taking CBD oil also means that the effects of the product are felt more quickly—typically within 20 minutes. Drinking CBD tea is a different experience. The CBD oil must be processed by the digestive system, which means the effects take a bit longer to kick in, though some experts say the effects may last longer than when taken sublingually (1). Additional research shows that taking CBD oil with fatty acids may aid digestion and can help increase absorption rates of the CBD (2). The benefit of drinking CBD tea is that you can choose the flavors you love and make the experience more enjoyable. Since effects may last longer once they kick in, this method is particularly useful for people who are using CBD to improve sleep or treat minor pain. Compared to sublingual ingestion, drinking CBD tea is slightly less effective and will take longer to provide beneficial effects. The effects may take anywhere from 10 minutes to a few hours to kick in depending on what you ate and when you ate your last meal. Some of the CBD oil may be lost in your cup due to molecular cohesion—the CBD oil may cling to the side of the mug. When it comes down to it, CBD oil can be taken a variety of ways. Some people prefer to smoke it while others prefer to add it to their food and beverage. Each method has its own pros and cons. 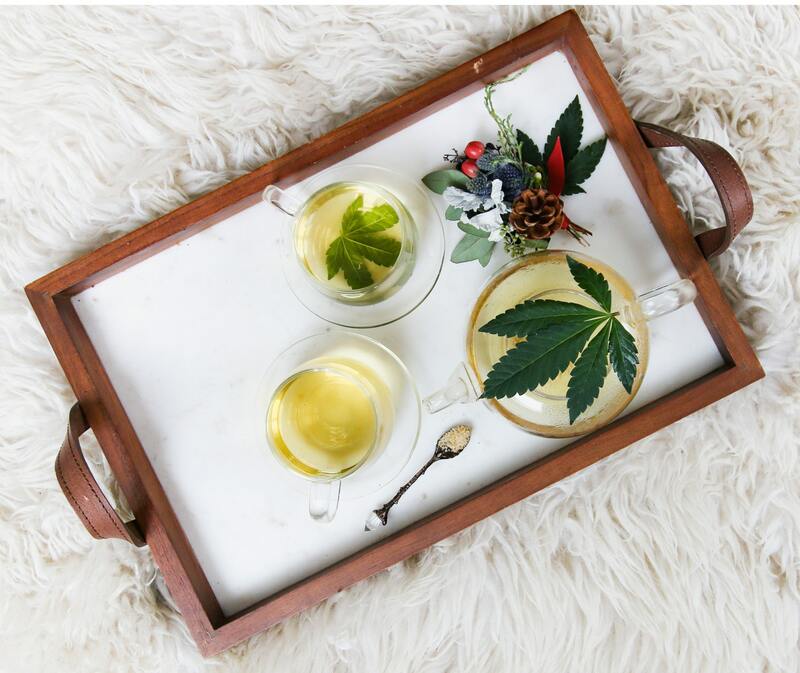 If you're interested in adding CBD tea to your daily routine, read on to discover delightful flavor options and a few tips for preparation. You don't have to buy fancy CBD tea bags from brands like Buddha Teas to enjoy this beverage. In fact, you can make your own CBD tea at home, simply by adding a few drops of CBD oil to your favorite tea flavors. We recommend using CBD oil from SabaiDee. They take quality seriously and only produce the highest quality CBD products tested by teams of scientists to ensure purity, consistency, and quality. 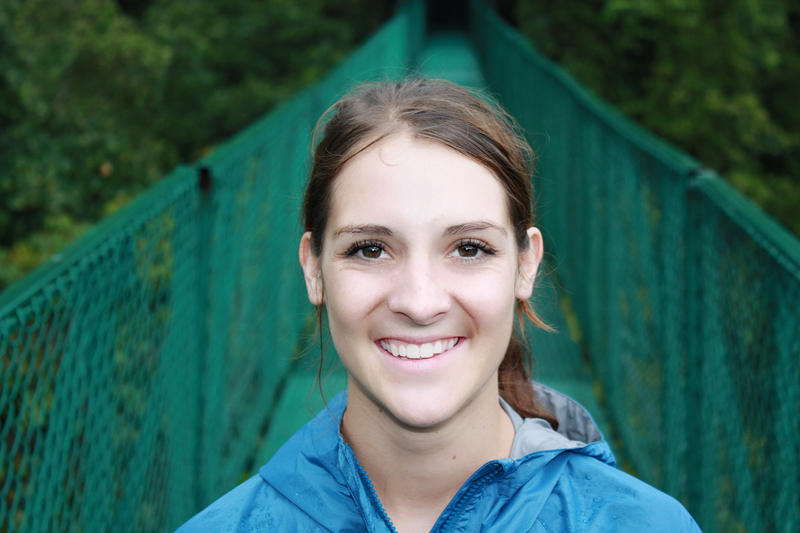 Their testing process is rigorous and includes an in-house step followed by a third-party test. They prominently display their testing results so you always know you're getting a great product. The right dosage amount will vary from person to person. Depending on your needs and preferences you may need more or less CBD oil. In general, it's best to start off with a small amount of CBD or hemp oil — typically one to five milligrams. Pay attention to how your body reacts and adjust your dosage as needed. 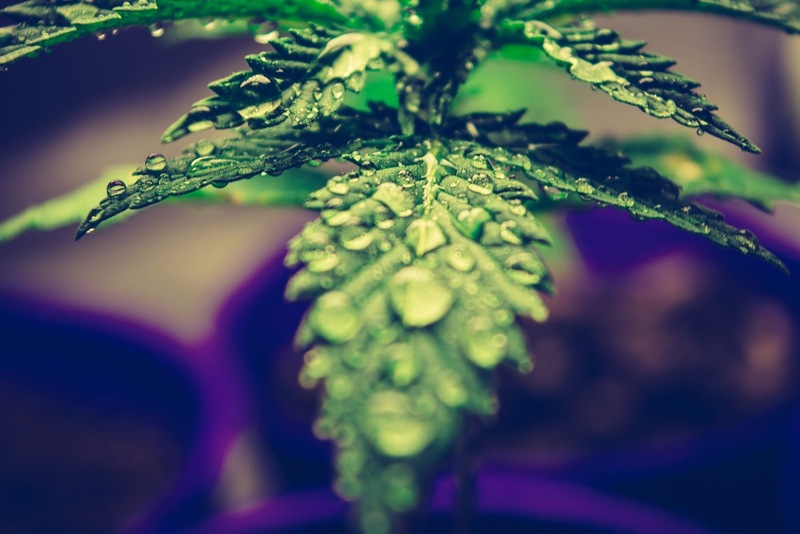 CBD is hydrophobic — that means it doesn't blend well with water. To make CBD tea, you need to include some sort of fat. This will help to increase the bioavailability of the CBD oil and improve absorption rates. You can use any fat you'd like from coconut milk and coconut oil to MCT oil and butter. Settle into sweet dreams and add CBD oil to our Sleepy Time Mint Tea featuring chamomile petals and peppermint leaves. 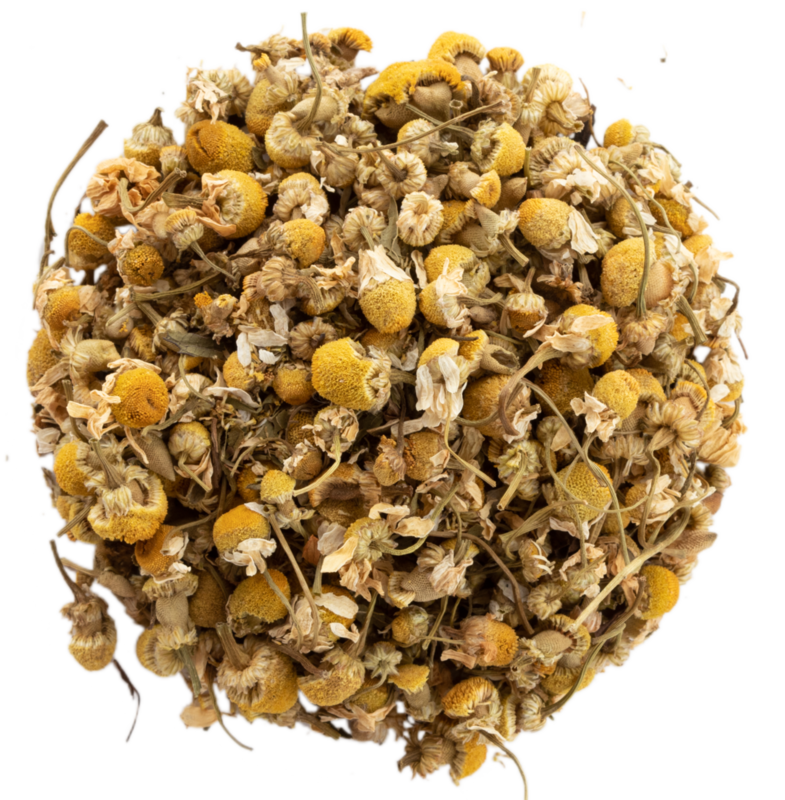 Chamomile tea is made from the petals of the chamomile flower. It offers a flavor similar to a crisp green apple. The drink brews into a delightfully sunny golden hue and the slightly floral aroma may help soothe your mind. Chamomile tea is widely regarded for its calming health benefits. Drinking this tea may help you calm down after a stressful day and may even improve sleep. A CBD chamomile blend may further these benefits since CBD has also demonstrated relaxing properties (3). Spice things up by adding CBD oil to our Thai Ginger Tea and sip delicious piquant flavor. If you prefer you cannabis tea with a little kick, try adding CBD oil to your ginger tea. 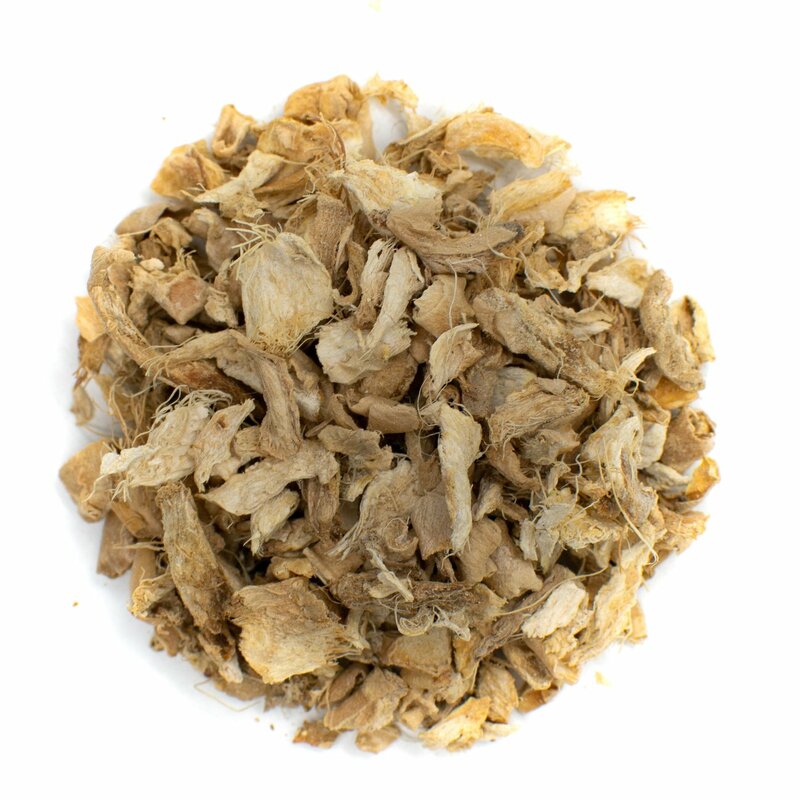 Ginger tea offers a potent flavor with a piquant note and earthy undertones. The tea is made from fresh or dried roots of the ginger plant. Ginger tea is renowned for its digestive health benefits and it may help to soothe symptoms of nausea and upset stomach. Drinking ginger tea may also help to alleviate pain since it naturally decreases inflammation. Simply add a few tablespoons of dried ginger to boiling water and add a few drops of CBD oil. Serve with a dash of coconut milk and a cinnamon stick for even more luxurious flavor. Boost relaxation and unwind with a few drops of CBD oil and our Lavender Green Tea. Green tea is one of the most well-researched teas. It boasts health benefits ranging from lowering the risk of heart disease to improved brain function. It's also one of the most popular teas for losing weight. There are two main types of green tea: Japanese varieties and Chinese varieties. Japanese green teas offer a slightly sweet and vegetal flavor while Chinese green teas are bolder with roasted and earthy tastes. Add a dash of CBD oil to either variety for a delicious and healthy tea. If you prefer creamy flavors, opt for a CBD matcha green tea blend. The matcha powder adds a rich, silky texture that can help balance out the taste of CBD oil. Taste sweet and tart flavor with a dash of CBD oil and our Egyptian Hibiscus Petal Tea. 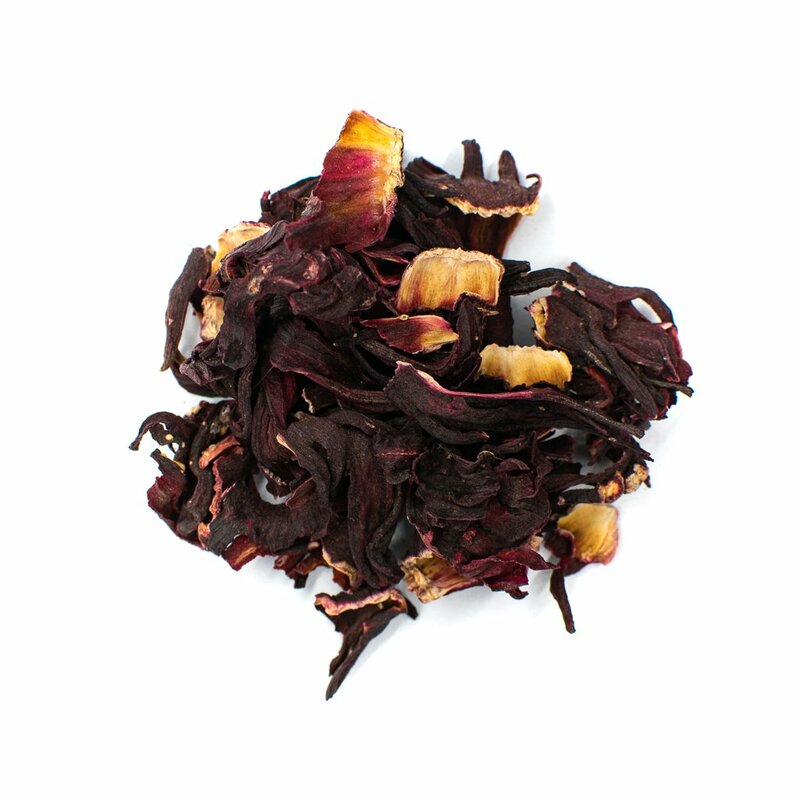 Hibiscus tea is a wonderful herbal tea that offers a tart and sweet flavor similar to cranberries. It features an invigorating aroma and flavor profile that pleases most palettes. Hibiscus tea may aid in weight management and is rich in vitamin C, which can help boost the immune system. It has also been shown to protect the liver and reduce pain associated with cramps. Opt for a loose leaf variety or steep flower petals from your organic garden in hot water. Add the CBD oil and steep for 5 to 10 minutes. 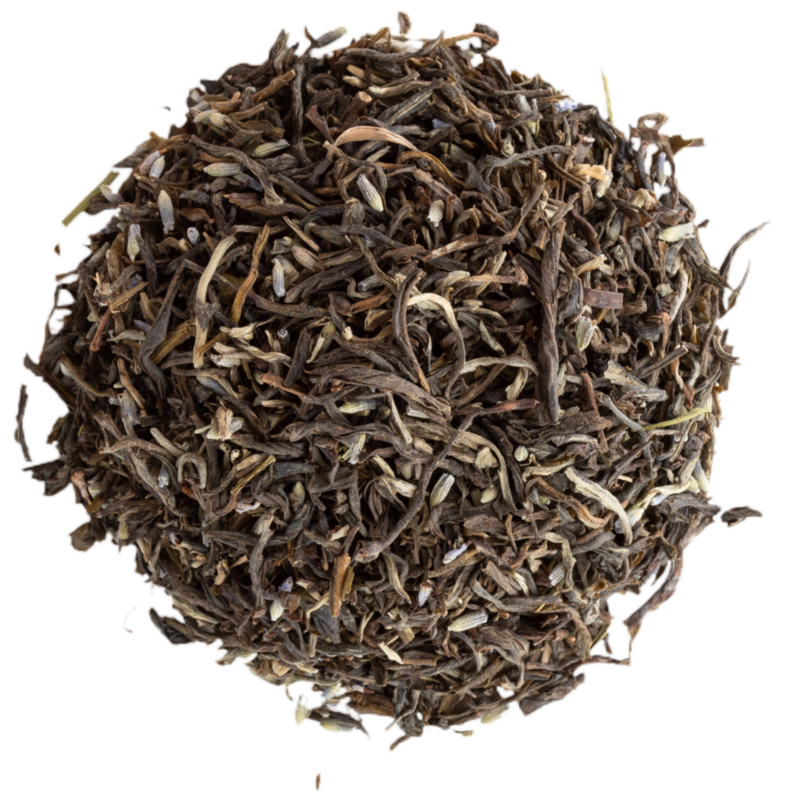 Our Butter Tea Blend combines three delicious teas for a Tim Ferris-inspired drink that pairs perfectly with CBD oil. Bulletproof tea is a mixture of tea, butter, and MCT or coconut oil. The tea was inspired by Bulletproof coffee and both beverages are a staple of the Keto diet. Take this tea to the next level and add a drop or two of CBD oil to the mix. The coconut oil and MCT oil will help improve the bioavailability of the CBD oil, making the ingredients in this tea a perfect match. Improve the taste of CBD oil with our refreshing and invigorating Peppermint Tea. Many CBD users combine the oil with peppermint oil when taking the product sublingually. That's because the flavor of CBD oil isn't fantastic. The peppermint helps mask the bitter flavor and makes taking the oil more enjoyable. Adding CBD oil to your peppermint tea has the same flavorful effects. 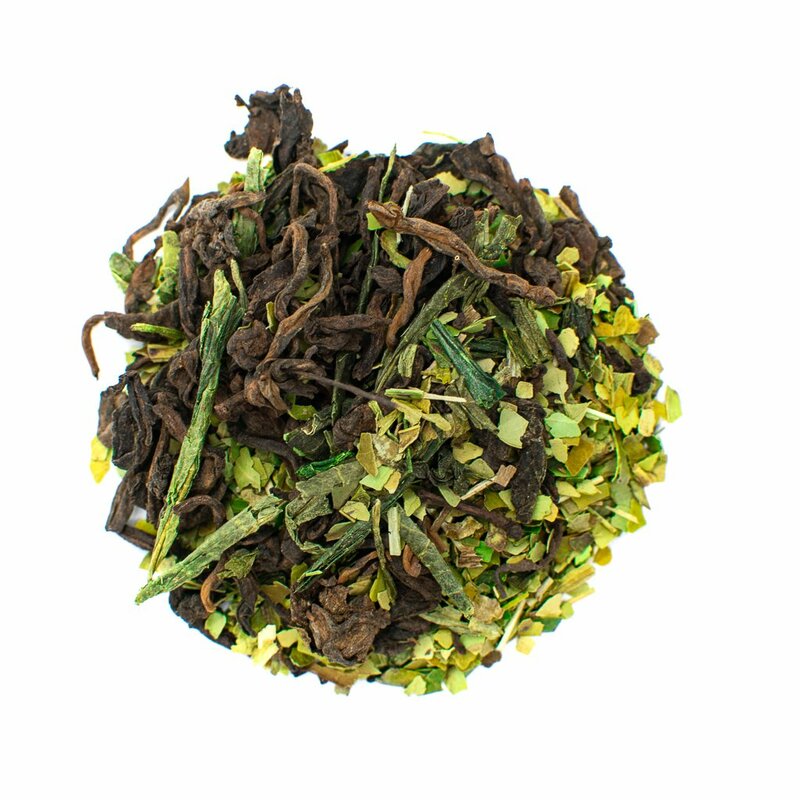 Peppermint tea boasts a tingling and refreshing flavor. It's also beneficial for oral health and can help fight bad breath. Drinking peppermint tea may also help to soothe digestion and reduce pain, making it a perfect pair for CBD oil. Pour yourself a cup of hot tea and enjoy the benefits of CBD oil. 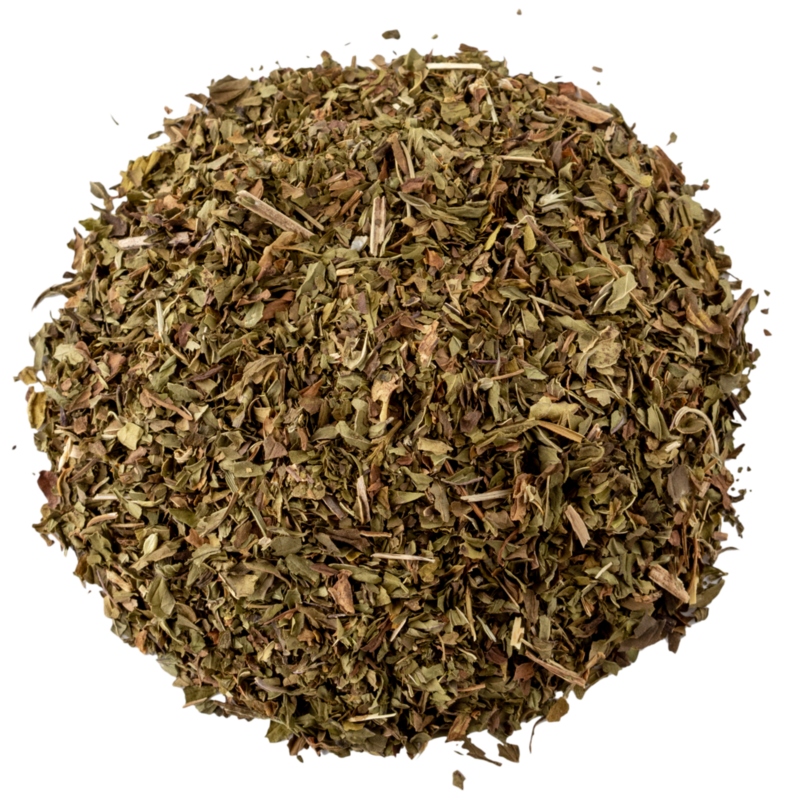 Similar to CBD coffee, CBD tea is a blend of loose leaf tea and CBD extracts. You can find it on the market as CBD-infused tea bags or simply make your own blends right at home by adding a few drops of CBD oil to your favorite tea. For the best CBD tea, we recommend using organic ingredients and natural ingredients. This helps to preserve the flavors of the tea. Remember to opt for water-soluble CBD varieties or incorporate fats into your tea to improve the bioavailability of the CBD oil.